Running the CM-2204-2300 motors on 4 cells can be done, but everything must be matched up perfectly, and you have to have an ESC that is capable of running at the higher speeds that this requires. Most of the ESC’s on the market cannot switch fast enough to keep up with a 14-pole motor that has a Kv value of 2300 running on 4 Li-Po cells. A lot of the ESC’s on the market can switch up to about 220,000 to 230,000 cycles per minute. Some of the cheaper ones can only get up to about 180,000 to 200,000 cycles per minute. In a 3-phase motor, every time the ESC goes through one complete switching cycle, the motor rotates through 2 magnets. 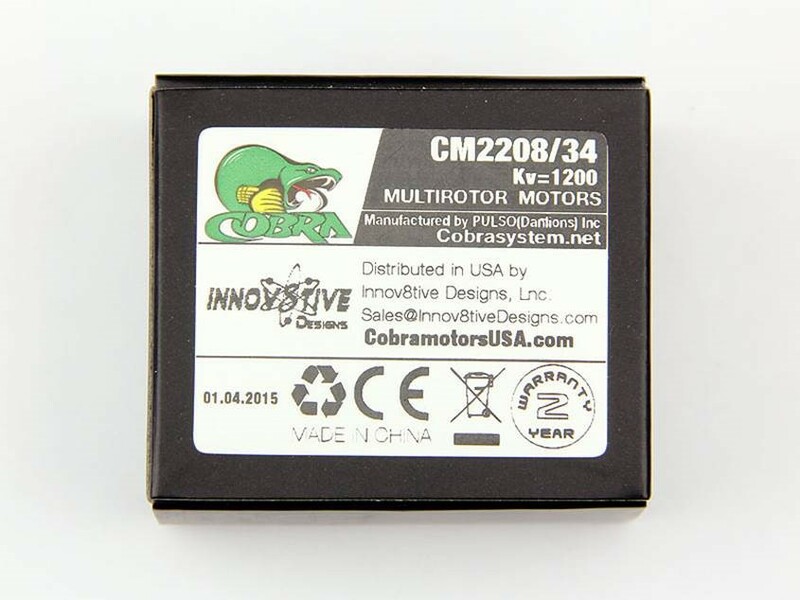 Because the Cobra CM-2204 motors use a 12-slot stator with 14 magnets, it takes 7 complete switching cycles of the ESC to make the motor go around 1 revolution. If you are running 4 cells, which put out about 15 volts under load, on a 2300 Kv motor, in a no-load situation the motor will try to spin at 15 x 2300 or 34,500 RPM. If we take this number and multiply it by 7 switching cycles per RPM, you get 241,500 switching cycles per minute. This is why when we test the motors here in the lab, we cannot do a no-load test on 4 cells. The motor is trying to spin faster than the ESC can switch, and this leads to dropped pulses and mis-firing of the ESC. When the motor has a prop installed, it typically spins at 70% to 85% of the no-load speed, depending on the size of the prop that is used. If you have a normal size prop, the motor will try to spin at about 75% of the no-load speed, which in this case would be 25,875 RPM or about 181,000 cycles per minute at the ESC. In the air, when the motors unload, this can creep up to over 200,000 Cycles per minute, and this has you teetering right on the edge of operation for many ESC’s. The other issue is with the size of the motor. Brushless ESC’s get their timing feedback from the motor itself. During each power pulse, Power is applied to two of the three ESC output leads, and the third lead becomes an input, waiting for a timing signal from the ESC. As the motor rotates, magnets pass over the stator poles attached to the third unused lead of the motor at that specific point in time. When this happens, a pulse gets generated and fed into the ESC. When the ESC detects this pulse, it knows that the motor has rotated far enough to switch power to the next phase pair in the power cycle. On a small motor, like the 2204 size, there is not a lot of energy generated in the feedback pulse, so it can get overshadowed by noise or other glitches in the power cycle. When the motor is operating right up close to its maximum RPM limit, the ESC can occasionally mis-fire due to a missed feedback pulse, or noise from the motor. As motors get larger, the feedback pulses get stronger and more reliable when compared to smaller motors. Pilots want to go fast in their 250 size FPV racing quads, so 4 cells is a great way to get extra motor speed. However, if you try to push the system too hard, you can get hiccups in your motors that can cause the quad to flip over and crash. We have addressed this issue by coming out with a new motor for the 250mm quads, the Cobra CM-2206-20, 2100Kv model. This motor is designed to run on 4 cells, with props up to the 6×4.5 size. We have had a few sets of these motors out in the field being tested by our team pilots, and they have won virtually every race they have entered with them. We should be getting our first shipment of these motors at the end of the month, and they would be an excellent choice for any 250mm racing quad. I attended the Unmanned Systems 2015 conference and tradeshow hosted by the AUVSI May 4-7th at the Georgia World Congress Center in Atlanta, Georgia. My presentation, Advanced Power System Selection & Maximizing Efficiency in Multirotors, was well received by the thousands of attendees at the conference. Click on the link in the previous sentence to view the .pdf copy of my presentation. 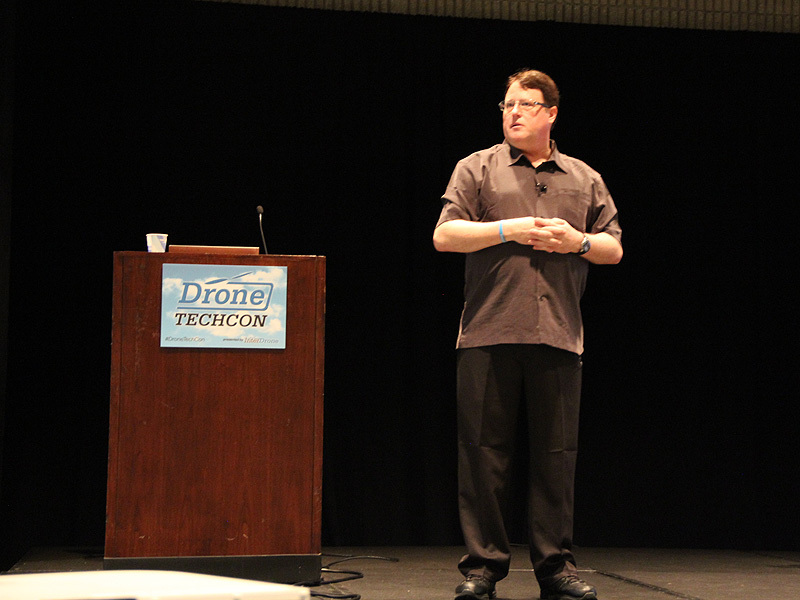 Speaking at the 2015 Unmanned Systems conference in Atlanta, Georgia. Here is how you decode the part number on a Cobra motor. The number is laser engraved on each motor after it is manufactured at the factory. If you are looking on a website, you cannot go by the serial number shown in the photo, because that could be any motor, and the serial number may have been PhotoShopped onto the photo. On the box itself is also a date as shown in the photo below. In the lower left corner you see the date 01.04.2015, this date code would be read the 1st day of April, 2015, which is the date the motor was packaged. Normally this is the same date the motor was made, but it may be a day or two later on a very large production run. There are a couple ways you can clean out a motor. You can take it apart or leave it together, it is up to you. The bearings in the motor are full of grease, so even if you get the motor wet, little, if any, water will get inside the bearings. You can run the motor under warm to hot water in your kitchen sink and use the spray hose to spray water inside the motor to loosen everything up and knock out any remaining dirt. When you are done, shake as much water as you can from the inside of the motor, and then take a hair dryer and warm up the motor up to evaporate any remaining water that may be inside. If you have a bearing lubrication kit or other motor bearing oil that you like to use, you can add a couple drops of oil to each of the motor bearings to make sure that they are well lubricated. If you do want to take the motor apart, you need to pop off the little C-Clip on the back side of the motor and then pull the motor apart. Take great care when removing the C-Clip, as they have a tendency to fly off to parts unknown, never to be seen again! You can put the motor inside a large gallon size zip-lock bag and work inside that when removing the C-Clip. That way the bag will capture it when it pops off and keep it from getting lost. Once the motor is apart, you can thoroughly clean the stator with warm water and a soft tooth brush to remove any embedded dirt and then dry off the motor as described above. If you do take the motor apart, you can pot a couple drops of oil on a paper towel and rub it into the stator to prevent any rusting from occurring later on. Our Scorpion Motor Lubrication Kit is a great product for this type of situation. This product not only contains a bearing oil, it also includes a moisture displacer and a corrosion inhibitor to ensure that the motor and bearings stay in top shape. There has been a tremendous amount of new developments since the last installment of Multirotor Flight, so it seemed appropriate to go into some of the new rules, regulations, exemptions and landmark decisions that have been made over the past few weeks. Thursday September 25th, 2014 marked the beginning of a new era in aerial cinematography. During a 24 minute long press conference, the FAA granted permission for the motion picture industry to use aerial platforms, such as R/C Helicopters and Multirotors, on closed sets for the purpose of aerial photography. Speaking on behalf of the FAA, Michael Huerta began his statement with the following words. “We recognize the potential unmanned aircraft bring to business, such as surveying, movie making, farming, monitoring pipelines and electric lines, as well as countless other industries. Our challenge at the FAA is to integrate unmanned aircraft into the busiest, most complex airspace system in the world—and to do so while we maintain our mission—protecting the safety of the American people in the air and on the ground. We are taking a reasonable and responsible approach. 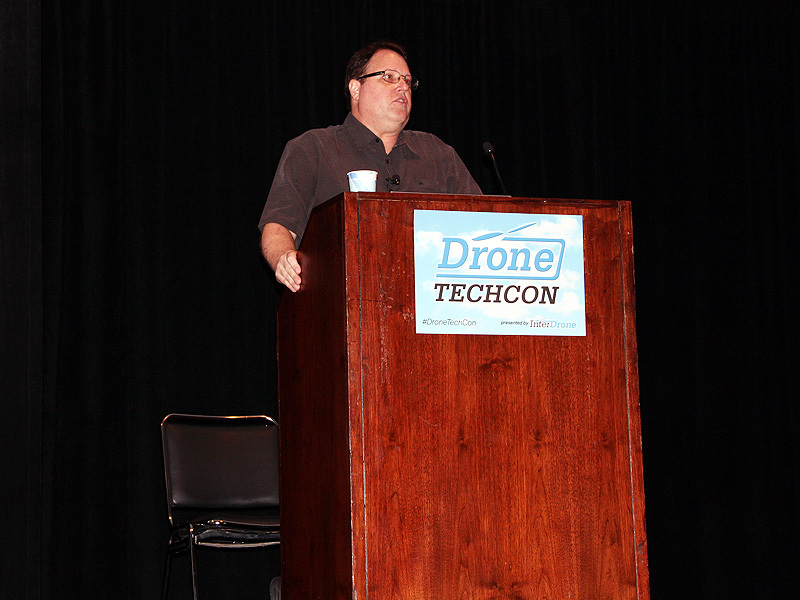 We are introducing unmanned aircraft into America’s airspace incrementally and with the interest of safety first. During the press conference, the FAA announced that it has granted special exemptions under section 333 of the FAA Modernization and Reform Act to 6 companies who have already provided all of the necessary paperwork and have been working on this with the FAA for some time now. In order to be able to operate, these companies will be required to operate under the following set of guidelines. The 6 companies that have been granted exemptions by the FAA thus far are: Astraeus Aerial, Aerial MOB. LLC, Pictorvision Inc., HeliVideo Productions, LLC, Snaproll Media, LLC and RC Pro Productions Consulting LLC, dba Vortex Aerial. A seventh company has also submitted paperwork to the FAA and is still waiting for final approval of their revised documents. In addition to the 6 exemptions that have already been granted, the FAA is currently considering requests from 40 other commercial entities that have expressed an interest in conducting operations under the new guidelines. This is a huge step forward, and just the beginning of an ongoing integration of UAS aircraft into the Federal Airspace System. Obviously there are mixed reactions within the modeling community regarding the FAA’s ruling in this matter. Some feel that it is a huge victory to have any exemptions granted that will begin the trial period in which the FAA will be able to see how this technology progresses in a controlled manner. Others are upset that the guidelines seem to be extremely restrictive, and this is putting aerial cinematography out of the grasp of the majority of pilots. The bottom line is that the FAA has an obligation to the general public to insure that the Federal Airspace System is kept free of any and all possible hazards to both public and private air transportation. In order to be able to do that, the FAA needs to make sure that the pilots who are operating the UAS aircraft are both competent pilots, and have a good working knowledge of the Federal Airspace System and all the rules and regulations that govern the operation of aircraft within the system. According to the latest statistics gathered by the FAA, on average, approximately two million people fly within the Unites States every single day! Each and every one of these people expects to take off, travel for several hours, and then land safely at their destination. It is the job of the FAA and the United States Air Traffic Control System to make sure that this happens each and every day on every single flight. It is very unsettling when an individual does something with a small UAS aircraft, whether it is a Multirotor, Helicopter or Aircraft, that jeopardizes the safety of this system. We have all heard of people flying multirotors near airports, sporting events, over crowds of people and other places that they simply do not belong. Many people will actually brag on the RC forums how they got their multirotor up to 10,000 feet of altitude during a flight, without any regard to the potential for disaster that they are creating. Everyone needs to be responsible for the safety of other people around them while they fly. All too often, pilots simply do not consider the damage or injury that can be caused by our RC model aircraft should something go wrong. In general aviation, there are several instances every year of in-flight damages caused by aircraft striking objects in flight. Normally this is caused by something as simple as hitting a bird in flight. The amount of damage that a simple bird strike can do to a general aviation aircraft is mind boggling. Figure 1 shows the result of a relatively small bird impacting the windshield of a private jet. Figure 2 shows the type of damage that a turbine engine can sustain when ingesting a larger bird, such as a Canada Goose during flight. Figure 3 shows the damage that a bird strike caused on the nose of a jet aircraft. The one thing to remember is that all this damage was caused by the relative soft tissue and light-weight hollow bone structure of birds. Imagine the damage that could be caused by a 10 or 15 pound Octo multirotor with a large digital camera hanging underneath it! This type of interaction between UAS aircraft and passenger aircraft is exactly what the FAA is so concerned about. In addition to the structural damage that could be caused to an aircraft, the secondary damage can be even worse. In the event of a collision like this, you can be guaranteed that the Li-Po battery powering the multirotor will be severely damaged, and will most likely result in a secondary Li-Po fire. In a collision like that shown in Figure 3, this could result in an immediate electrical fire right behind the instrument panel of the aircraft. In a windshield collision, like that shown in Figure 1, you could end up with a Li-Po battery on fire inside the cockpit of the aircraft. In most cases, the damage caused by a bird strike to an aircraft does not cause the aircraft to crash. The pilot is usually able to make a controlled emergency landing at the nearest airport and get the plane and everyone on board down safely. On the other hand, if any of these accidents were caused by a large multirotor instead of a bird, and the Li-Po batteries on board created an in-flight fire as a result of the collision, the odds of survival go down dramatically. These are the types of things that need to be considered when Multirotors are flown any where near the flight path of general aviation or commercial aircraft. None of us want to see anything like this happen, but all it takes is the careless actions of one individual to create a problem that would devastate both the aviation and modeling communities. There are of course other considerations to the use of Multirotor aircraft, and these need to be addressed as well. Right now, there is nothing stopping the casual sport flyer from flying a multirotor aircraft for fun and recreation. You can even use the craft to take still and motion pictures from the air, as long as it is not done for profit or commercial purposes. This does not mean that you can, or should, take your newly purchased multirotor down to beach on Labor Day weekend and fly it over crowds of thousands of people. At all times during your flight you should be able to ask yourself, “If I lost power right now, and the multirotor fell straight down out of the sky, is there a potential for someone to get injured?” If the answer to that question is yes, then you should not be flying there under any circumstances. Many people will say, “The chances of that happening are one in a million, so why worry about it.” That very well may be true, but it is that mindset that separates the true professional aerial cinematographers from the weekend wannabees that do not have safety as a paramount concern. In addition the concerns of injury and property damage are the concerns for privacy. Nobody wants to be spied on, and some people think that this is exactly what is happening. Recently there was a story in the news about a man who used his DJI Phantom to take some aerial photos of a friend’s house that was under construction. A few minutes into the flight they heard a shotgun go off. Then they heard someone from the neighboring property yell, “Get that Drone off my property!” Shortly after that 3 more shots were fired, one of which struck the craft and caused it to fall out of the sky. The police were called, and the crazy neighbor was hauled off to jail and charged with assault with a deadly weapon. Unfortunately there are people out there that are scared to death of the new multirotor technology, and as operators of these craft, it is extremely important to make sure that no one sees us or our aircraft as a threat. The truth of the matter is that as a new technology, the use of multirotor aircraft for aerial photography and other commercial applications will be a slow, steady uphill pursuit. It will take some time for the FAA to keep an eye on the use of these aircraft in a very controlled environment, and to log enough flights to establish safety records and common practices that all operators can follow. In the mean time, it is up to the people that do get their aircraft certified for use during the early stages of this new legislation that must maintain constant vigilance to ensure that everything is done “by the book” in a safe and controlled manner. Other organizations are already taking form to help the motion picture industry be able to operate multirotors in a safe manner while filming. The Society of Aerial Cinematographers (SOAC), was founded by Robert Rodriguez in July of 2014 as a community organization to train and educate the camera operators, directors, producers, as well as other people involved in the motion picture industry. Located in Burbank, California, the SOAC will be right in the heart of Hollywood, and will work with the cinematographers in that area to insure the safe integration of this new technology into the film industry. The SOAC is working in conjunction with the AMA and will be setting up educational programs to meet the needs of Hollywood. A copy of the SOAC logo can be seen in Figure 4. During this time of controlled integration of UAS aircraft into US airspace, the FAA and other regulatory agencies will be watching all of us with a microscope. We need to be on our best behavior, and also work with one another to make sure that all flying is done in a safe manner, and that all of the equipment used is in top operating condition. Hopefully, within a few years, the FAA will see how safely these aircraft can be operated, and as a result, the current restrictions will be relaxed to make it easier for more people to enjoy this section of the hobby, and possibly turn it into a money making career! Till next time, fly safe and fly often!